When you take visitors to Boulder to see the sights, what places do you immediately think they should see? The downtown mall? The university? Almost surely, Chautauqua is at the top of that list, as an icon of our community. But the Colorado Chautauqua Association (CCA) is planning some real changes to Chautauqua. Their Chautauqua 2020 Plan includes improvements to infrastructure, parking and transportation, changes to landscaping, and new signage and interpretive displays. Most controversial is a plan to move the Picnic Shelter and build a new 7,000 square foot, two story building in its place. Of even more significance to the future of Chautauqua is the CCA’s business strategy of growing the conference and retreat business and shifting to short term lodging in place of the nine-month off-season lease strategy of the past. This plan has generated a great deal of concern in the larger Boulder community over Chautauqua’s future and who will determine that. What do the citizens of Boulder envision for Chautauqua in 2020? Is it a growing business venture for meetings and conferences? If so, how much growth and development is acceptable? If the business is successful, will more lodging space be the next proposal? This is not an idle question. Not long ago, the CCA Board came up with the idea of building a hotel on Open Space adjacent to Chautauqua. This was inadvertently revealed to the public and caused a public outcry. Boulder residents deserve to know what Chautauqua’s caretakers are planning for the future of this key city asset. Chautauqua has had a long and varied past in Boulder, from its earliest beginnings as cultural and educational camp that was part of the national Chautauqua movement of the late 19th century, to its tattered post World War II condition, and finally to today’s well-restored home of the Colorado Music Festival. 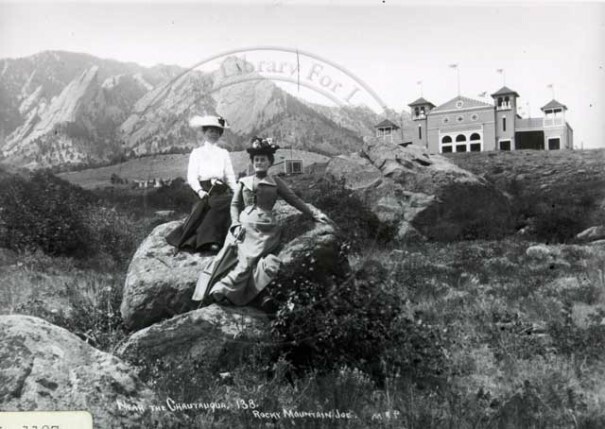 The City of Boulder owns the land of Chautauqua, along with the open space that surrounds the site on three sides. It also owns the Chautauqua Auditorium, the Dining Hall, Academic Hall, and the Picnic Shelter. The CCA leases the land under the cottages and other buildings that it owns, and also leases the public buildings owned by the city. The city has long recognized the historic importance of Chautauqua, and designated the Chautauqua Historic District in 1978, followed shortly by the district’s listing on the National Register of Historic Places. The ability to protect historic resources by controlling changes to historic sites and buildings rests, for the most part, with local government. Local historic preservation ordinances are the basis for regulation, and the strictness with which regulation is applied depends on the significance of the historic resource and the community’s political support for regulation. 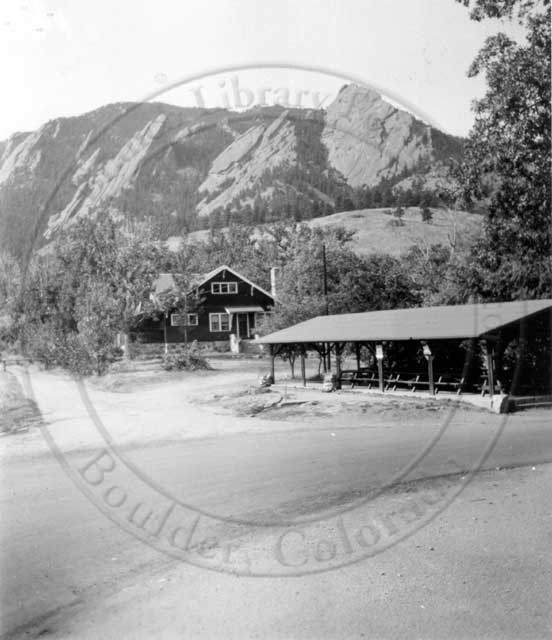 Designation of Chautauqua as a local historic district was an important step, since it required any changes to the Chautauqua site and its buildings to be reviewed by the City of Boulder to ensure that changes would be appropriate to the historic character of the district. Determining the appropriateness of changes was initially relatively ad hoc, so the Chautauqua Design Guidelines were added in 1989, to give direction to both applicants and regulators. The city’s historic preservation process has been successful in protecting the historic character and integrity of Chautauqua throughout the improvements that have been made to the public buildings, and energy upgrades and renovations of many of the cottages. In 2006, Chautauqua was designated as the Colorado Chautauqua National Historic Landmark District by the Secretary of the Interior. Designation as a National Historic Landmark (NHL) is recognition reserved for the most important historic resources in the country; there are only about 2,500 nationwide. This designation is based not only on the historical importance of Chautauqua, but also the fact that changes over time have preserved its historic and architectural integrity, rather than damaging it. While this recognition is quite an honor, it also brings with it significant responsibility for ongoing stewardship. For several years, the CCA has been developing the Chautauqua 2020 Plan, a strategic plan for the future of Chautauqua. This plan proposes making significant changes to the site and the CCA’s operations, and is composed of a number of elements, such as the Chautauqua Master Signage Plan, the Chautauqua Park Historic District Cultural Landscape Assessment and Plan, the Chautauqua Interpretive Services Plan, and the Chautauqua Environmental Sustainability Plan, all of which can be found at the CCA website. The CCA has selected certain recommendations of these plans for implementation by 2020. Parking and traffic circulation have long been problems at Chautauqua, and better management of both are key undertakings. Undergrounding of overhead power lines for both fire safety and aesthetic reasons will require large capital investment. Additional investment will be made in storm water drainage and other outdated infrastructure. A visitor center will be established in an existing building, the Dining Hall upgraded and site improvements recommended in the Cultural Landscape Assessment will be undertaken. Much of the Master Signage Plan has already been completed. The really controversial proposed change is the relocation of the Picnic Shelter located directly to the south of the Auditorium, and in its place, the construction of a 7,000 square foot, two story building to house maintenance and housekeeping operations, and 3,500 square feet of meeting space (for purposes of comparison, the Dining Hall and the Community House are both about 8,300 square feet in size). This would also require the relocation of the McClintock Open Space Trailhead, and would eliminate a number of parking spaces used for the picnic shelter and the trailhead. Why is the CCA proposing this new building? It appears to be a response to the convergence of several plan recommendations. The CCA has determined that it needs to increase revenue for the investments of the 2020 plan and for increased costs of maintenance and operations. In 2005, the 9 Month Retreat Feasibility Study evaluated the revenue potential of shifting from leasing cottages for the nine-month off-season to short term rentals associated with retreats and similar types of meetings. The 2008 Interpretive Services Plan notes that “more and more small and medium sized groups are using Chautauqua facilities for their single-day meetings, weekend retreats, and mini conferences. Such groups typically use lodging accommodations in addition to meeting spaces … CCA intends to grow this group business in the near future.” The CCA has stated that the new building will provide meeting space that will facilitate increased cottage rentals and the growth of the group business. Already, the public has responded with concern for the related increase in parking and traffic impacts. Concern has also been expressed for the damage to the historic Chautauqua site caused by removing a historic structure and replacing it with the more intense development of a new two story building. And there are questions about whether the CCA’s ultimate plans for Chautauqua will require even more development. There is quite a lot of existing guidance for the evaluation of the appropriateness of changes to Chautauqua in the city’s current historic preservation policies. State and federal historic preservation authorities also give direction on such changes, and in various ways, the city has committed to incorporating state and federal policies into evaluating changes to the city’s historic resources. In the case of changes to Chautauqua, the bar for approving changes should be very high because of its national historic importance. Federal guidance regarding the relocation of the Picnic Shelter and construction of a new building in its place was provided in an April 8, 2011, letter from the National Park Service, which oversees the National Historic Landmark District program. This letter stated, “The National Park Service does not recommend moving historic buildings. In fact moving a historic structure into or within a historic district may jeopardize its ability to contribute to the significance of the district and has a negative effect on the historic integrity of the district.” The letter goes on to note that “the National Park Service understands that moving a historic building or structure is sometimes the only way to save it from demolition, but such an action should only be undertaken as a last resort when all other preservation options have been exhausted.” Regarding the new building to take the place of the relocated Picnic Shelter, the letter goes on to say …”The National Park Service does not recommend new construction within NHLs. New construction will add non-contributing elements to the district and will have a negative effect on the NHL.” These are unambiguous statements regarding the advisability of the CCA’s proposal from the national entity that oversees the country’s most important historic resources. State guidance on historic preservation projects comes in the form of the Certified Local Government program, through which the City of Boulder has a formal relationship with the State Historic Preservation Office. Based on the fact that Boulder has a local historic preservation ordinance and codified review process, a historic preservation board, locally designated historic landmarks and districts, and design guidelines, the state recognizes that local processes and resources are adequate to uphold the preservation of historic buildings and districts. As a Certified Local Government, the city also commits to adhere to the Secretary of the Interior’s Standards, which are generalized guidelines for rehabilitation of historic buildings, structures and sites used by the National Park Service. Even the Chautauqua 2020 plan offers guidance. The Chautauqua Park Historic District Cultural Landscape Assessment and Plan notes the original character of the site as open, with views into and out of the area, but which have since been obscured by mature landscaping. 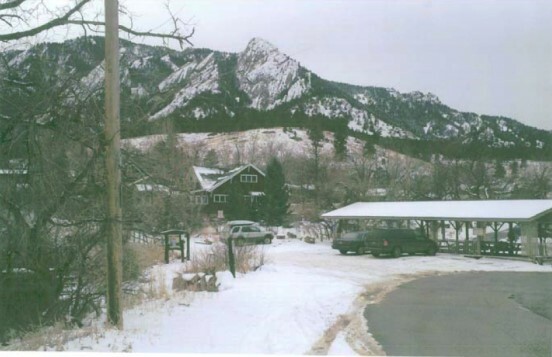 The plan recommends: “preserve and restore Chautauqua Park’s setting and context. Retain the open character of the City of Boulder Open Space at Chautauqua Park’s edges; Protect views into and from Chautauqua Park including those to City of Boulder Open Space lands and to the City of Boulder; Re-establish historic viewsheds.” A focal point of interest is the area where the Picnic Shelter is located. Currently, the shelter is low in height, quite transparent, with open area on either side. This offers a wonderful view out to the plains and surrounding open space land. From the opposite direction, there is the familiar view of the Auditorium and into the Chautauqua site. The character of this area would be completely changed and seriously damaged by the insertion of a two story building. Given all these admonishments stating that the Picnic Shelter should not be moved and no new building added, the question might be asked: Why is a new building still under discussion? Does the CCA’s desire for more meeting space outweigh the impact to the preservation of an important local and national historic resource? The discussion that this has generated so far is related to the size and architectural character of the new building, not whether it should be built at all. It has been noted that the Chautauqua Design Guidelines don’t offer guidance for construction of new buildings and that therefore they should be updated to add some. But this ignores the fact that the guidelines specifically don’t offer such guidance because they note that new buildings are not appropriate. So far, the discussion seems to have taken as an established fact that the CCA needs more meeting space to increase their retreat/lodging business, and that growing this business is the desired future of Chautauqua. However, it is not at all clear that this is either necessary or desirable. In reality, the community’s desired future for Chautauqua is what is important. It is not about the design guidelines or about designing a building that fits in with the other Chautauqua buildings, because that can be done. The Ranger Cottage demonstrates that, and was done before any design guidelines existed. What if this growing conference business increases parking and traffic impacts to Chautauqua and the surrounding neighbors? Will the public who can now access Chautauqua be forced out? And, very importantly, who should get to decide the answers to these questions? The CCA Board? The citizens of Boulder? Managing the financial support of a non-profit organization is difficult. The CCA has been a good steward of Chautauqua, overseeing rehabilitation and ongoing maintenance of the leasehold for many years. However, the plans intended to ensure the future of Chautauqua should not become its destruction. The City of Boulder has developed an option for public participation in planning for Chautauqua that would step back from the current building approval process and incorporate the Boulder community into a discussion of what future is desired for Chautauqua. The approach is thoughtful and what is needed. The City Council should approve it. Previous Topic: Mountain Lions in the City: What Can We Do?